Whale watching is particularly big with the 3 countries who are unfortunately pro whale hunting: Japan, Norway and Iceland. We encountered this when we entered a whale bar in Tokyo by accident. We've since been more curious about whales, spotting orca killer whales in Puerto Madryn, Argentina, so we jumped at the chance to see these magnificent endangered species in the flesh at Mirissa in Sri Lanka. Mirissa offers a wide variety of options, from budget to luxury. Whether you are looking for a hotel close to Mirissa beach or hidden away in the hills with splendid views, you will find it. Below are the places we loved because they fit every budget and have a unique charm. 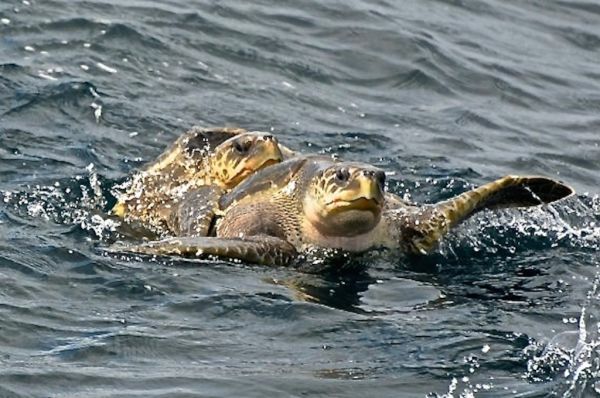 All of them will be able to help you with booking your whale watching tour. A lovely boutique hotel located on a long deserted beach between Mirissa and Matara. Rooms are spacious, nicely decorated, with a delicious breakfast freshly prepared in the morning. Prices start from $132 / £91 for a double room. Great budget option, located on the main street, a 3 minutes walk from the beach. Rooms are clean and spacious, and breakfast is plentiful. Prices start from $36 / £24 for a double room with breakfast. A bit outside of Mirissa, but this is the ultimate luxury experience in Mirissa. perfect for honeymooners or couple looking for a unique romantic experience. Rooms overlooking the ocean with an infinity pool offering incredible views. Prices start from $434 / £300 a night. 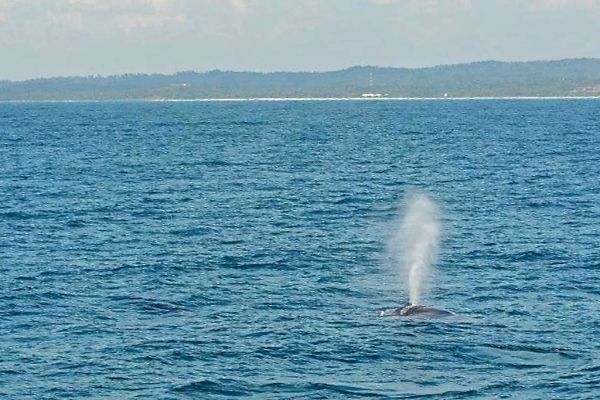 The whale watching season in Sri Lanka runs from from November to April / May, as during the rest of the year, the waters will be too rough because of the Monsoon. The best place to spot whales is in Mirissa, a small tourist town on Sri Lanka's south coast, popular for surfing and famous for whale watching. 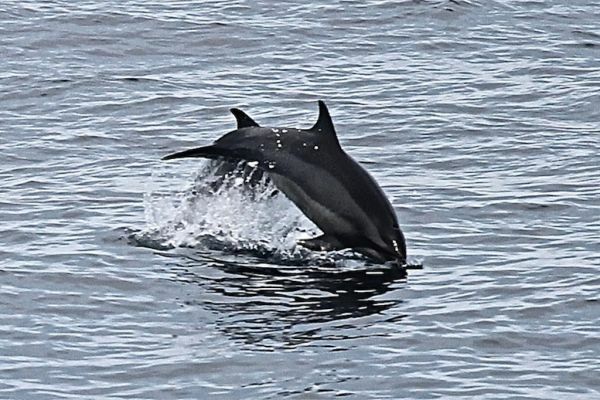 The waters around Mirissa are particularly rich in plankton (a groop of mirco organisms whales feed on), which lead scientists to believe there is a resident population always present which will result in sightings whenever conditions are good, particularly between November to April. HOW MUCH DOES IT COST TO GO WHALE WATCHING? 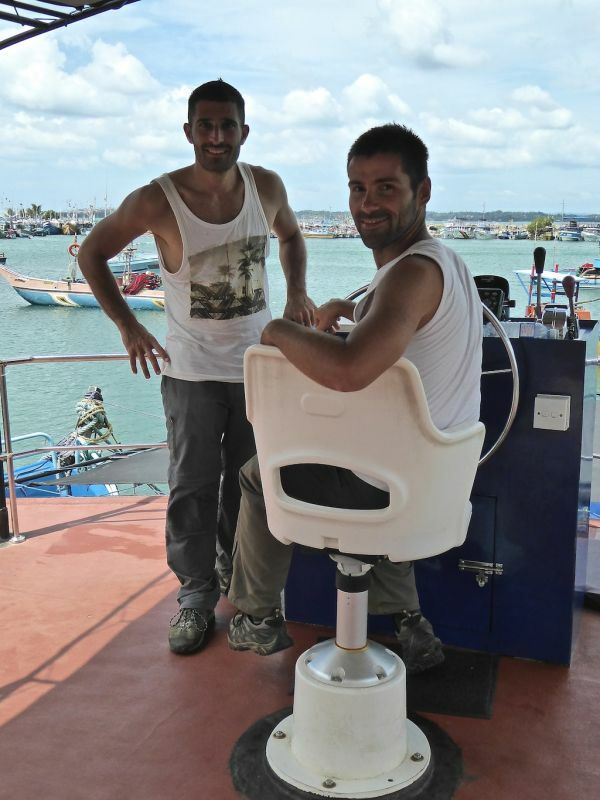 There are a huge choice of whale watching tour companies in Mirissa, and all of them charge more or less the same price. Choose the company carefully because not all of them care about the animals. For example, some try to get really close up to the whales, which frightens them and stresses them unnecessarily. A good ethical tour company will keep a careful distance from the whales to prevent this happening. TripAdvisor will help you find the best companies out there. As with most tourist attractions in Sri Lanka, prices have been increasing a lot over the years. A whale watching safari was around 6,000 Sri Lanka rupees (around $42 / £30) per person when we went. We decided this is a once in a lifetime opportunity, which if done in somewhere like Canada, New Zealand or Europe would be a lot more expensive. We decided to take a morning tour with Raja & the Whales, who we found on TripAdvisor, and also filled the WDC requirements. The tour itself involved a 1 hour early morning boat ride from 6:30am out into the Indian Ocean where the whales are known to be feeding. If you go during the whale watching season, your chances of seeing a whale are quite high (90-95%) and if not, most companies promise to re book your tour (for free). 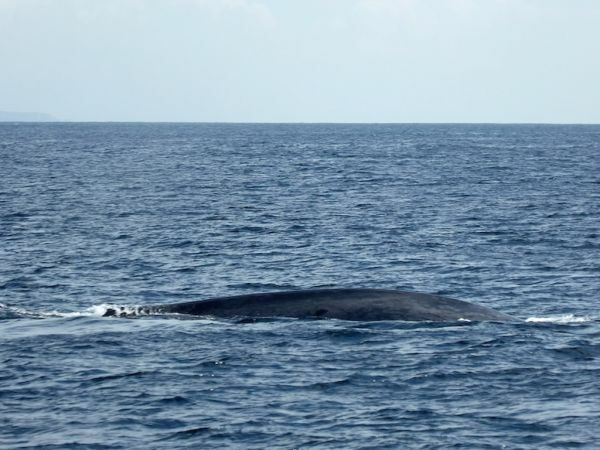 Blue whales are the largest creatures on earth, measuring up to 30 metres in length, and luckily enough for you, they live only a few miles off the South Coast of Sri Lanka.The art to spotting the whales comes down to mastering their breathing behaviour. Whales are mammals so they have lungs instead of fish gills for breathing. Therefore, they cannot breath underwater and need to come up for air. Blue whales can hold their breath underwater for an average 30 minutes before they have to surface for air. They don't have a nose and can't breath through their mouth so rely on their blow-holes. When they surface, they spout the air (and lots of water with it) out of their blow-hole. As with all safaris, whale watching is a waiting game and a test of patience. A good company will know the signs to look out for and the optimum spots for whale sightings. IS IT WORTH DOING A WHALE WATCHING SAFARI ? 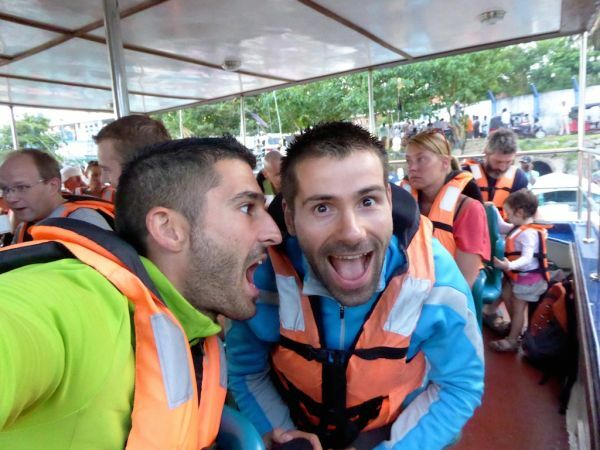 For us, on a backpacker budget, it was a bit of a splurge, but an unforgettable one. We'd never experienced whale watching before and learnt a great deal about these magnificent creatures. You won't get up close to the whales as this is discouraged by environmentally minded companies to avoid disturbing the whales. So there are no swimming/snorkelling opportunities with the whales. Watch our travel video diary of our adventures through Sri Lanka as we ate our way through this tropical island, took some beautiful train journeys and enjoyed excellent safaris spotting leopards at Udawalawe and Yala National Park. Thanks for the post and there are so many beautiful and amazing places in Sri Lanka must visit. Oh this looks amazing – I’ve always wanted to go whale watching. A definite add to the bucket list! Awesome experience, guys. I’ve seen humpback whales off Canada but would love to follow in your wake and see blue whales. Thanks Barry! Wow in Canada? Was this near Vancouver? Thank you for sharing this! I’ve been doing my research on where to go whale watching for my december holiday! Bookmarked! Great Post…! Thanks for sharing this wonderful experience ..The pictures are amazing…. You guys…! are really lucky enough to witness these beautiful creatures in the correct Season. That’s really important to follow the seasons in Sri Lanka.. Thanks for the heads up! I am planning to be in the Mirissa area tomorrow so hoping the season starts earlier than Oct. 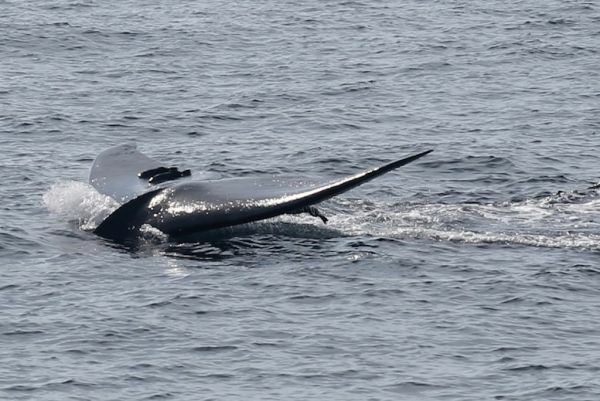 I am traveling to Sri Lanka in the mid of August and would like to go for Whale watching, is it a good idea or would i be wasting my money and will not be able to see any whales. I read on their website that they will only refund 50% of the charged fee incase there’s no sighting. any feedback would be much appreciated. We were told whale watching season is mainly between November to around May time, so you may just miss it. I’d recommend chatting with the guys at Raja & the Whales over email to get a better idea. thanks! i will definitely do that. just wondering if they would give me an honest answer or try to make money out of it? They would definitely be honest. We found them to be honest and is why we chose them. Such a useful post, you saw so many things! Mirissa Water Sports Pvt. Ltd who’s not only a responsible whale watcher but also does it in style. 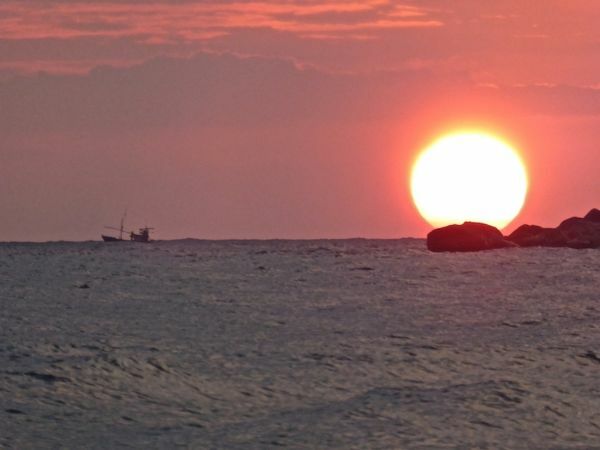 The whale watching business in Mirissa seems to be a big business and i do agree with some of the comments above that there has to be some limitation to the boats and strong rules and regulations has to be adopted. I’m going to be in Mirissa in early to mid september, and I’m concerned the water/weather will be too bad, or I’ll have to pay even more if I want a company to take me out to see the whales. Did you hear anything about whale watching out of the main season while you were there? Actually out of season is not a good idea as the chances of seeing them are small. They do offer to take you back out if you don’t see any. Will this be your first time in Sri Lanka? Amazing country. Thanks for this post, we were in Mirissa for the last week of Dec ’14 but this company was booked up and we didn’t really get a good vibe from the other companies. It’s good to see you experienced them as not disrupting the natural behavior of the whales and that they kept their distance and what an amazing experience of these beautiful creatures that you had! Such beautiful creatures, I hope the huge increase in tourism to Mirissa, the generally poor level of environmental awareness and kindness towards animals there doesn’t affect the whales, dolphins and turtles. Hopefully this project might be able to educate people (locals and tourists) too… What do you think? I really hope so. We did unfortunately see may boats approaching the whales which was sad. I’m glad you were also put off by the other companies as this reassures us we made the right choice. I guess we got very lucky – we turned up the day before (weekend) and booked it. But December was a surprisingly quiet season for tourism in Sri Lanka – apparently because of the upcoming elections.